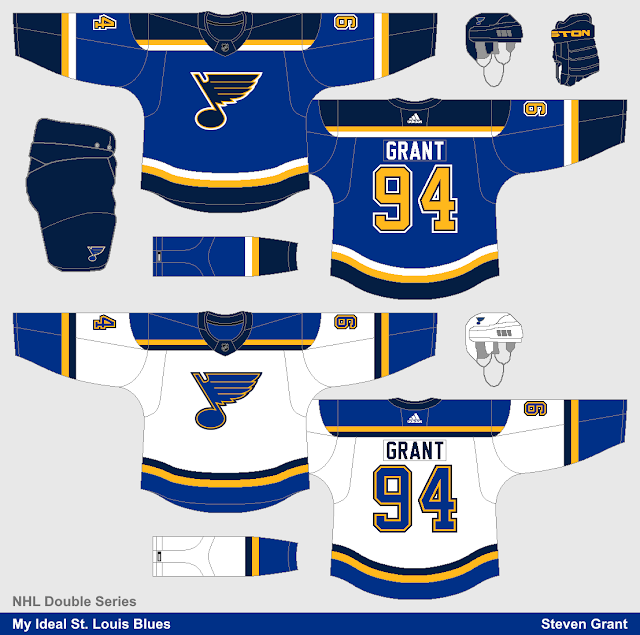 I've finally made another NHL Double Series concept! I really like the Blues current jerseys (minus the white numbers), which is reflected by my "ideal" set. The biggest change is removing the gap in the arm and hem stripes, any other changes are pretty minor. 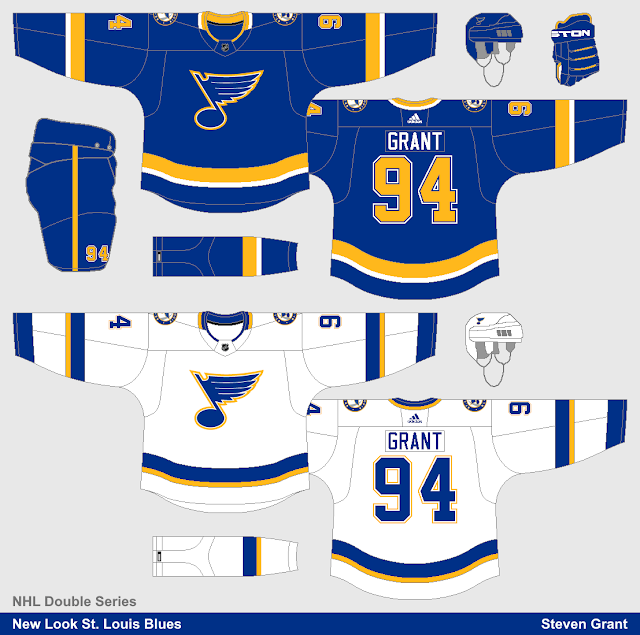 My goal here was to give the Blues a fresh look, while using their original royal blue and yellow colour scheme. 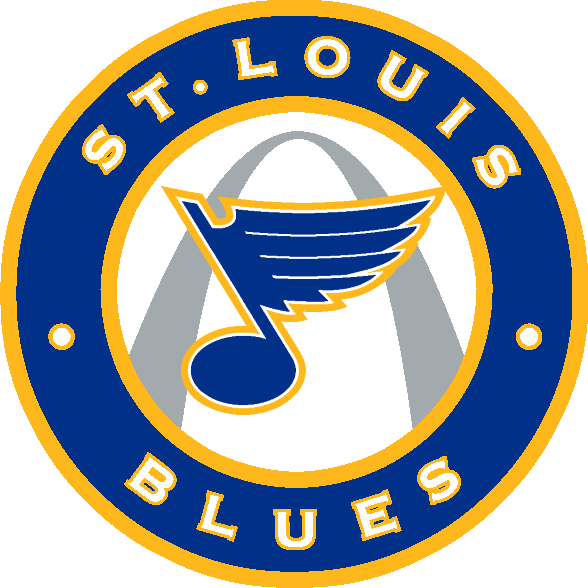 For the logos, I curved the top of the blue-note and used their roundel as a shoulder patch. I wanted to keep the striping pattern simple and clean, and I tried numbers on the pants just to experiment a bit. I like the new look, fits the team better than what they are wearing right now!